Lance Sewell, 45, of Dickenson Terrace, Gainsborough; driving without an insurance policy or licence. Fined £660, £66 victim surcharge, £85 costs and disqualified for 12 months. John Freestone, 39, of Station Road, Torksey; speeding in excess of 30 miles per hour speed limit. Fined £150, £30 victim surcharge, £85 costs and licence endorsed with three points. Neil Roberston, 32, of Green Lane, Lea; speeding in excess of 30 miles per hour speed limit. Fined £220, £30 victim surcharge, £85 costs and licence endorsed with three points. Anne Fenwick, 78, of Knaith Hill, Knaith; speeding in excess of 30 miles per hour. Fined £220, £30 victim surcharge, £85 costs and licence endorsed with three points. 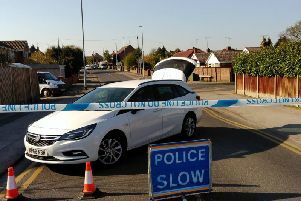 Nathan Baker, 29, of Manse Avenue, Lincoln; failed to give information relating to the identification of the driver of a vehicle who was alleged to have been guilty of an offence. Fined £660, £66 victim surcharge, £85 costs and licence endorsed with six points. Toni-Anne Washbrook, 39, of Gloucester Close, Lincoln; driving without due care and attention. Fined £281, £30 victim surcharge, £85 costs and licence endorsed with five points. Chelsea Corker, 24, of Bankside, Gainsborough; stole a baby blanket and meat. Discharged conditionally for 12 months, £30 victim surcharge and £85 costs. Ryan Parkinson, 33, of Waterworks Street, Gainsborough; assaulted a woman by beating her. Community order made, restraining order made, fined £290, £85 victim surcharge and £85 costs. Sam Stalford, 25, of Drake Street, Gainsborough; breached a non-molestation order. Restraining order made, fined £100, £30 victim surcharge and £100 costs.